It’s a given that highlighter is now a staple in our makeup bags like concealer and mascara. 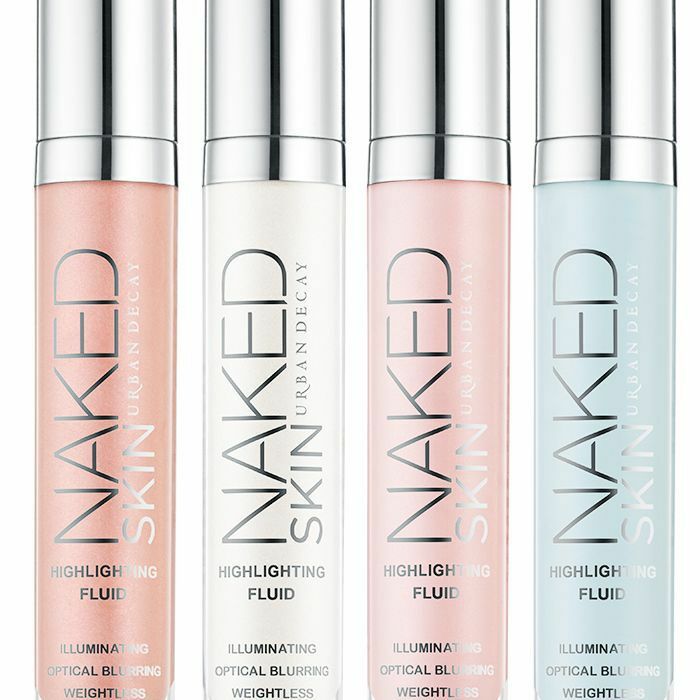 And with so many choices, it’s hard to know which highlighter to commit to, but when we say Urban Decay is launching a liquid highlighter as a part of its Naked range that might help you make up your mind. Yes, following the huge success of its Naked Illuminated ($32) product, a flattering powder highlight, the brand is now launching a liquid version. So why choose liquid? Well, if you wear a liquid foundation, it means you can mix the two to give your complexion a subtle glow. This highlighter also blurs flaws, so expect a Snapchat filter–esque flawless look to your skin when you use it. In fact, if you want to have a “no-makeup day,” just use this mixed in with a little moisturizer to pep up your complexion. Also, you generally have more control with a liquid, so you can blend and tap it onto specific areas, like the cheekbones, the bridge of the nose, and the Cupid’s bow, using your fingers, a small brush, or a Beautyblender. The new Naked Skin Highlighting Fluid ($28) comes in four shades: a pink, a peach, a white, and a blue that will look incredible on dark skin tones. The formula is super sheer and incredibly weightless, so it will give your skin a naturally beautiful lit-from-within glow. Shop more of our favorite highlighters below. Next up, read about the little-known moisturizer that has been solving all of our skin woes.